REBECCA’S TOP WRITING TIP: Trust your Muse, because doing so always leads to a better story. Even if it feels like she’s being stubborn and uncooperative, look at why she’s doing that. What is she trying to tell you? Let her lead you in the right direction because she’ll never steer you wrong. Your inspiration, your Muse, your inner angels, whatever you like to call that instinctive artist within you is tapped into real magic. They see the story the way it’s meant to be written and if you let them guide you the whole process becomes that much easier. Trust the misdirection, trust the quirky unexpected, just go with it and see what unfolds. Take risks and try new things because it can lead to remarkable discoveries. I’m certain you’ll always be pleasantly surprised; sure it might require you do some editing, but it’ll definitely lead to a richer, fuller story. Born to the magical beauty of her sunburnt country home in Western Australia, Rebecca Laffar-Smith always yearned to explore the wonders of this world and beyond. After 12 years as a freelance writer and editor, she gave up writing about the non-fiction world in favour of the fantastical creatures and fanciful things she could create and immortalise in fiction. Now she writes in the moments she can steal away from homeschooling her son, raising her daughter, and volunteering as an events coordinator and mentor for her local writing community. She dreams of someday running a farm-stay writer’s retreat on the outskirts of Perth and writing her stories in a detached, hexagonal room with floor to ceiling bookshelves and plenty of natural light. When it comes down to it, I’m just not happy when I’m not writing fiction. I’ve gone through periods in my life when I put the fiction aside to pursue other things (like paid non-fiction freelance work), but deep in my heart I was always yearning to come back to the stories. Whenever I wasn’t writing I had a lingering sadness, a void, like I wasn’t living into the person I was meant to be. Writing fills the void and lets me create lasting meaning and connection for myself and for my readers. What would you be doing if you weren’t a writer? I’m not really sure because it’s never been a real option. I’d wanted to be a writer since I was six years old and other than a short school-leaver dip into retail, it’s all I’ve done professionally. For years I worked as a freelance writer, editor, and Web designer before giving that up to focus on family, community, and fiction. I think if I weren’t writing I might gravitate toward education. I was in Uni finishing the first year of a Bachelor of Education degree when I decided to homeschool my son and I really love the topic. The opportunity to homeschool has been fantastic for our whole family, not to mention finally giving me an excuse and opportunity to focus on my fiction. So, if I weren’t a writer, I might be a teacher. What was your toughest obstacle to becoming published? Perfectionism. I was too obsessed with making everything perfect. That’s the only way I can explain spending eight years on my debut novel. It was by no means my first book either; there were several that are buried deep in my archives because they weren’t perfect. I had to learn to put aside that need to get every detail perfect and instead focus on telling a good story. The important thing is to get the good story onto the page, because it can then be crafted into a great story. And that’s what readers really want, great stories. They don’t care if it’s perfect, they just want to be entertained. Once I got over the need to tell the perfect story it became much easier. I think one of the toughest obstacles authors face these days is a traditional mindset. The industry is changing so rapidly that you have to be willing to jump in feet first, make mistakes, get messy, and be willing to do things a different way. There used to be only one long, cold, lonely road to publishing, but that’s not the case any more. Find your supporters, work on your craft, and chase your dreams, because there is no one right way to get there. What’s the best aspect of your writing life? I love exploring stories. That’s the best bit. I think it’s why the outlining process is my favourite part, because there is so much to discover. I get to meet my characters and get to know them. I get to look at how the story moves and grows and shapes. During the drafting process there are still some discoveries and I love how the story changes and evolves through the drafts, but outlining is like seeing the world for the first time. I’m a toddler, eyes bright and wide, in awe at all the wonder. Feeling like that is pretty amazing. —the worst? OK, there are a few downsides that leap to mind. Hitting my head against plot holes can be pretty nightmarish. I’ve found writer’s block stems from trying to force the story to go in a direction it’s not supposed to go. And I can be pretty stubborn so I’ve been known to do that a good dozen times per draft. I’m learning to be less of a control freak and to let the story change and evolve, but sometimes when I’m being particularly stubborn the frustration and depression of not being able to get the words on the page can be painful. I also have problems with the fact that it’s entirely self-directed. I’m having to learn how to set deadlines, plan and manage projects with time, and develop more discipline about treating my writing self as a professional. I’ve been a pretty slack boss in the past; I give myself too much leeway and it’s not an efficient way to work. It’s important to be a fair but firm boss of your writing self, set your boundaries and act professionally within them. What would you do differently if you were starting out now as a writer? I would focus more on quantity. I spent so many years obsessing about the quality of one story that I missed fantastic opportunities and left so many stories untold. The thing about being a writer professionally is that it requires more than one book to succeed. The more you produce the faster you’ll learn and grow as an artist, the faster you’ll develop your own voice, the sooner you’ll acquire a degree of mastery. I’m definitely planning to focus the coming months on increasing productivity. I’ll be writing more words faster, and hopefully that’ll mean it won’t take another eight years before the next book. What do you wish you’d been told before you set out to become an author? I wish I’d been told that the best way to stay motivated is to immerse yourself in the writing community. I spent a long time thinking that writing was something you do all by yourself. After all, surely writers are tortured hermits and drunks holed up in their basements bashing away at their typewriters, right? The truth is, the more people you bring into your writing circle who encourage, support, and inspire your writing, the easier you’ll find the whole process. Yes there are times when you need to close the door and get the words written (although I also do really well writing in the company of others at our local write ins), but if you open the door and spend time with others in the industry you’ll find the community helps you maintain your enthusiasm, excitement, and motivation. What’s the best advice you were ever given? “Write. Publish. Repeat.” – This is actually a book by Sean Platt and Johnny B. Truant with David Wright, three hyper-prolific writers who have the Self Publishing Podcast. The book itself is targeted specifically to authors (particularly indie or hybrid authors) who are ready to look at their career with a business mindset. There are lots of great tips in it for building your writing business but what it breaks down to is exactly what the title says. The way to succeed is to “Write. Publish. Repeat.” And more specifically, write good books, publish professionally (be it traditional or self-publishing), then jump right back into the fire and write the next book. The key is to never stray far from production. Many writers get stuck in the promotional circuit trying to play up the marketing for their latest book, especially if it’s a debut novel, but the best marketing for your latest book is actually the ones you write after it. Build your catalogue because every book exponentially increases your reach. I also had an eye-opening experience at a workshop with film producer, Karel Segers, a couple of years ago where I first discovered The Hero’s Journey concept. If you’ve never heard of it I recommend checking it out. It’ll blow your mind and make you see books and movies in a whole new way. I’ve found it’s also done wonders for my own writing process and led me to write richer stories. When investigative reporter, Tori, chases the story of an underground smuggling network, she stumbles into something significantly more sinister. Instead of the illegal trade of exotic reptiles, she finds a temple of devout snake worshippers. Taken by the cultists, Tori is subjected to a savage ritual and irrevocably transformed. Now something dark and primal slithers within her. Lucas, charged with Tori’s protection, struggles against an overwhelming sense of helplessness. He should be stronger, faster, and more powerful than any human, but in the past 20 years all of his charges have been murdered. Their deaths and his failures linger in his nightmares. They writhe in his mind like the chilling sense of brooding hunger that floods Tori’s thoughts. Filled with violent rage and dark jealousy, the cult’s High Priestess rears up between Tori and the truth. 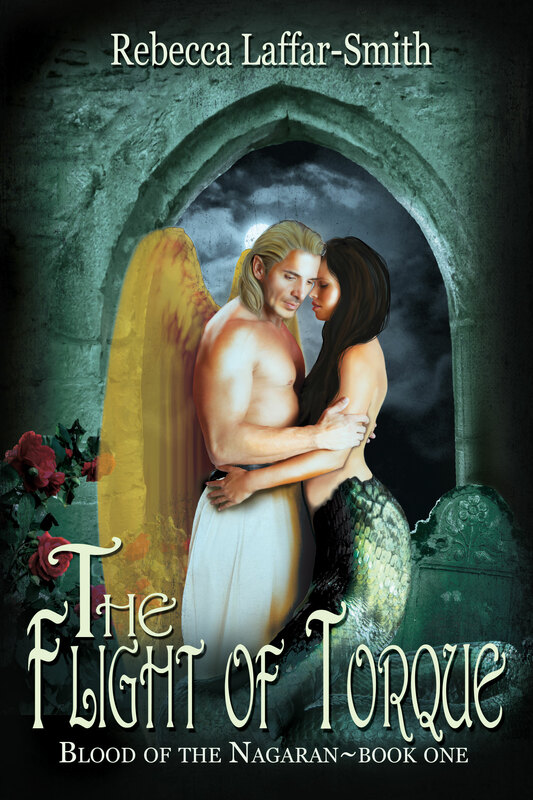 The only thing protecting Tori from the long, cold embrace of death is the darkness within and the tingling warmth and light of her guardian angel. KEZ’S TOP WRITING TIP: Take your time. It’s a creative process, and so very interesting to see how your brain/heart interact as words spill onto paper. Kez Wickham St George is a widely traveled artist and author who says her greatest joy in writing is passing on what a wonderful world we live in. In 2003 Kez wrote and published a motivational work training manual for New Zealand and in 2008 she wrote and published a children’s book, The Stone Birds, for a community in Northern Queensland. She has since been published internationally and her three romance thrillers and an illustrated children’s story have all been translated into Italian, Spanish and German. Kez’s passions are travel, her family, garden, painting, writing, reading great books, movies, meeting friends and having spontaneous dinner parties to celebrate life. Most days she is either in her beloved garden, or in her workshop, creating or dreaming up another artwork or story. 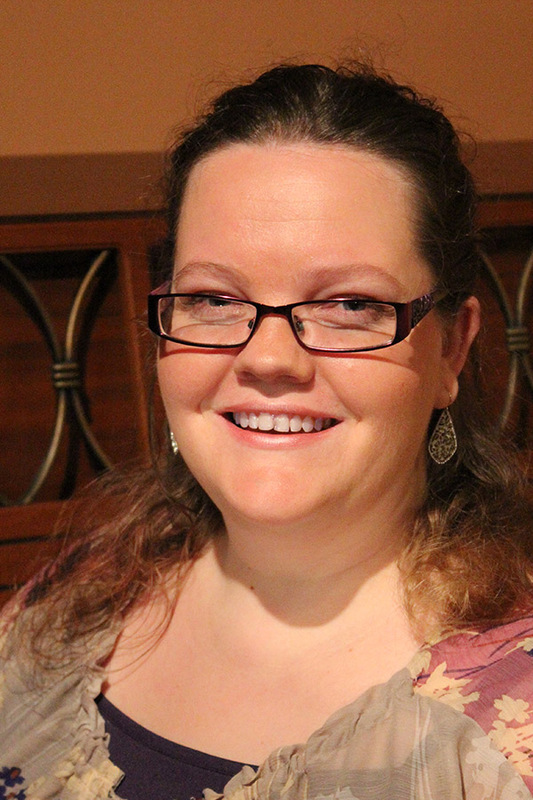 She tutors in eBook publishing and creative writing for children and adults. Why do you write? I write for readers to enjoy my world. More than once I have been tempted to write for the approval of others, but have lived too much of my life with a performance orientation, so I no longer wrestle with that. I write because I love to create, I write because I feel if I can make another smile or ponder over a word or a sentence or two, then I have written well. I found you can be blessed beyond your wildest dreams if you follow your own. What’s the best aspect of your writing life? Once you say “I’m an author” other folk will tell you all sorts of details, then you can plait, weave and assemble your own creative story with a twist. I love it when I meet people who tell me their story. As they speak my brain starts to piece it all together. —the worst? Honesty from my publisher. He was tactful, honest and charming with his advice, but it still became a disappointment in myself. First I wanted to tell him off, then common sense prevailed: if his way was better, why not give it a try? I did and it worked. What would you do differently if you were starting out now as a writer? Not have such high expectations of my work. I don’t mean standards, I mean the expectation that your baby (book) is going to become an instant huge international success. It’s rare. What do you wish you’d been told before you set out to become an author? Forget the ‘naysayers’, forget the negatives, do the research, ask question. Speak from the heart and most of all be honest with yourself. Enjoy what you do, then edit it once again. Have a humble heart and a hefty hide. Stay the course. What are you working on?The Feather Catcher is a sequel to my last two novels, The Metal Mermaid and The Cuppa Tree. Each book is filled with adventure, thrills and spills, with a tad of romance. Tara the lead character, once a stay-at-home mum, nana and local artist, discovers she needs a lot of motivation to carry on as life throws some curve balls her way. The travels are around Australia, New Zealand, and an adventure to Bali, always looking for the upside of a situation. And like most writers, I have one book being typed in front of me, while another is forming at the back and beyond of my brain. Tell me a little about your writing process. I write, read, write some more, walk away till tomorrow, read and write some more, till I can knock chaos into structure. I may even leave the story for a week, my fingers itching to get back into it. I preview each chapter myself, then when I’m happy with a finished chapter, I pass it on to my husband. Apart from me, he’s my worst and best critic ever. If he shakes his head while underlining in red changes that could be made, I know I’m in for some hard work. But it’s better than hearing my publisher shriek from afar, “you can do better, please review”. For those of us who write, our books are our babies. We give birth and we watch them grow, to be carried off by strangers. It’s sometimes a painful process, but when I see readers smile or chuckle at something I have put down, I know it’s all worth it. If there is no editing or critiquing then the writer does not grow. In my experience I am a better writer than when I first started. The critics were harsh and many, but it made me more determined to be good at what I do, and that is write. What is the best writing advice you were ever given? Reread, then edit, edit and re-edit. Tara really wants to get back on the road. The red dust of the Outback is so heavy in her blood, her body aches to go there, but family comes first. Nursing her ill daughter back to health, running a household, being part of a community is all great, but the call is there at night in Tara’s dreams. In the day when she is doing mundane jobs it’s there, a whisper of adventure. After much debate, Tara is on the road once again, a grey nomad. With her is a Kiwi bloke, Gordi, who won’t take no for an answer. Tara picks up all sorts of strays along the way, experiencing drought, her vehicle catching fire, laughs, love, tears, a spiritual traveler, baby joeys, underground living in Coober Pedy, breathtaking experiences across the Outback and the Painted Desert and peaceful bush bilabongs. SOFIE’S TOP WRITING TIP: Keep a diary, write in it often. Tell the absolute truth and do it with details. Sofie Laguna’s many books for young people have been named Honour Books and Notable Books in the Children’s Book Council of Australia Book of the Year Awards and have been shortlisted in the Queensland Premier’s Awards. She has been published in the US and the UK and in translation in Europe and Asia. Her titles include, My Yellow Blanky, Too Loud Lily, Bad Buster, Big Ned’s Bushwalk, Bird and Sugar Boy, Stephen’s Music and Where Are You Banana? Recently Sofie published the bestselling Grace stories for the Our Australian Girl series. This was followed by Fighting Bones, for the Do You Dare series. 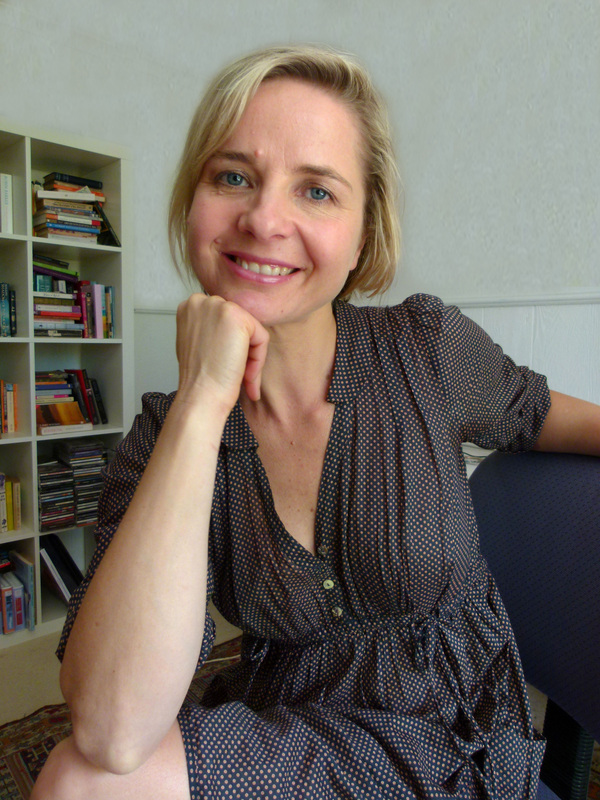 Sofie’s first novel for adults, One Foot Wrong, published throughout Europe, the United States and the United Kingdom, was long-listed for the Miles Franklin Award 2009 and shortlisted for the Prime Minister’s Literary Award. Film rights have been optioned and Sofie has recently completed the screenplay. 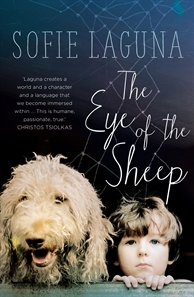 Sofie’s second novel for adults, The Eye of the Sheep, is due for publication in August, 2014. Sofie lives with her husband and their young son, and she is currently expecting her second child. Why do you write? For pleasure, for justice, for fun, for freedom, to communicate. What would you be doing if you weren’t a writer? Being an actor. What was your toughest obstacle to becoming published? There were no significant obstacles. What’s the best aspect of your writing life? Pleasure, justice, fun, freedom, communication. Also solitude, flexibility and adaptability. What would you do differently if you were starting out now as a writer? Nothing except allowed myself to relax more and enjoy. What do you wish you’d been told before you set out to become an author? It’s going to be wonderful. What’s the best advice you were ever given? Don’t worry so much.